Let’s face it – once you get off the nursery slopes and start feeling the fresh botanical winds of craft gins off-piste, it’s time to learn a few specialist techniques to hone your skills and improve the ride. 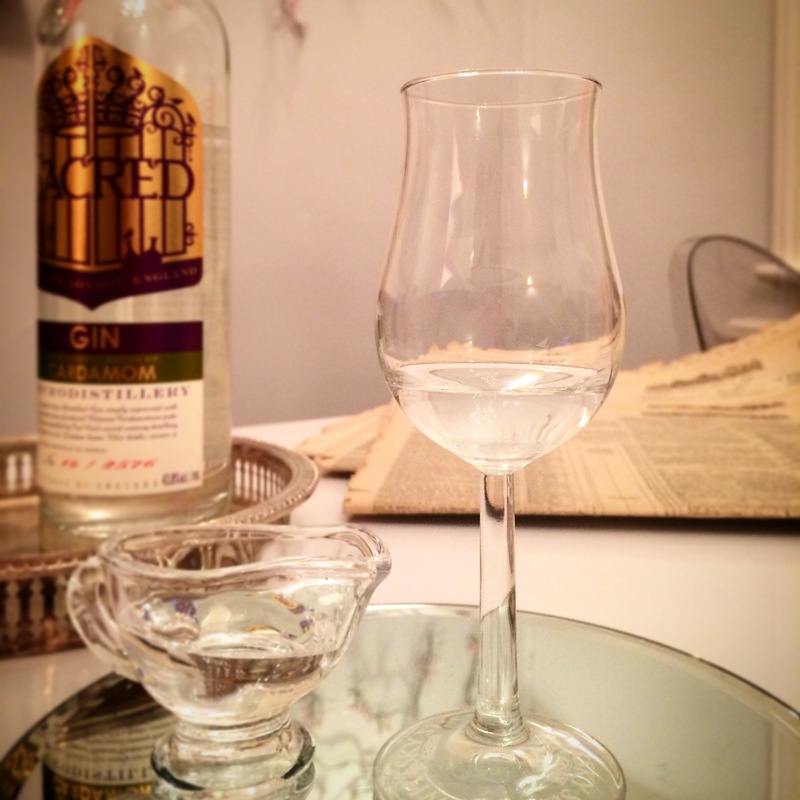 Here are some top tips for nosing & tasting the “black run gins” in your life. P.S. This is the slimline guide for busy people. You can find the full fat version with more detail here. Get your hands on a tulip shaped copita glass, or a Glencairn nosing & tasting glass. The shape of these glasses ensures that the aroma of the gin you are tasting is concentrated. You can buy them from WineWare. To get the most out of your gin, you want to serve the gin room temperature (21-23 degrees C). No ice, no tonic, no garnish – not for nosing and tasting. Do however, have a little bit of water nearby. Get your nose right into the tulip of the glass. Take a slow, very gentle sniff. What are your initial impressions here? Sharp? Fresh? Spicey? Sweet? Make a note. Hold the gin on your tongue for a moment – take note of what you get. Move it around your mouth – what changes, what else do you get? Swallow – what’s in the finish? Do new flavours arise on the pallet? Adding water will takes the sharp edge off the alcohol and saucily unbuttons layers of botanicals and flavours in your gin. Easy does it mind, drop by drop. If you’ve enjoyed it and the gin has passed, graduate to a full serve G&T with complimentary garnish or serve as your favourite gin cocktail. I really like this handy guide from the Craft Gin Club – they asked Distillers directly what the best garnish was for their gin. And there you have it. Now you know how to nose & taste gin like a pro! Want more detail? Try the full fat version of this blog post, here. Tell us what you think in the comments below or tweet us. 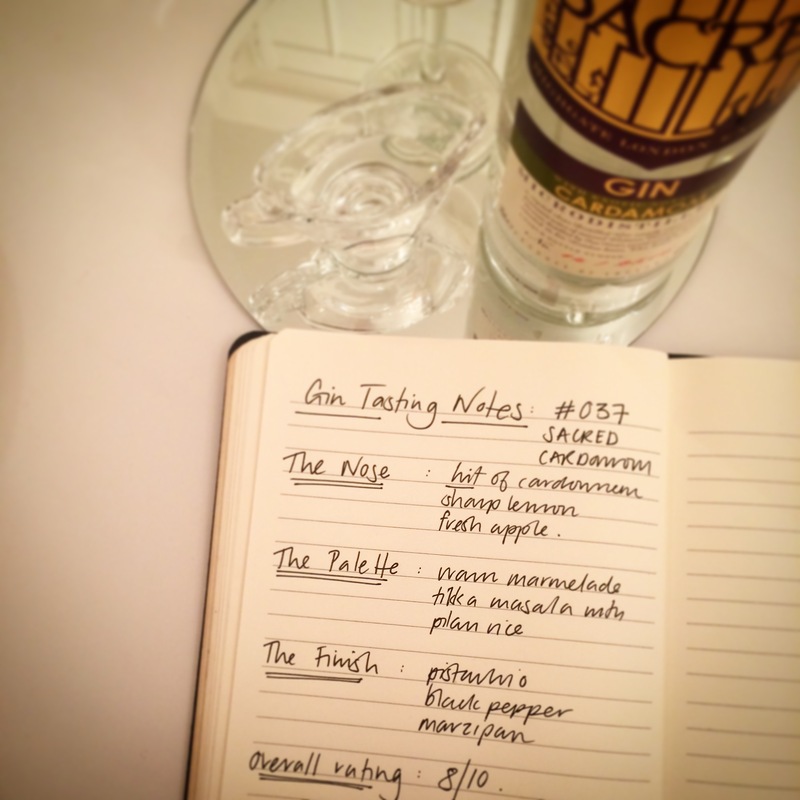 If you’re doing a tasting, share a pic on instagram and tag us (@theginclub).